Audio heavyweights L-Acoustics, Bose and Yamaha, and lighting pioneers Robe, DTS, ETC and Philips can be found on the buzzing show floor. Alongside them are a plethora of companies representing each sector across the industry, including rigging, staging, AV, broadcast, installation, special effects, education, cruise ships and DJ. The seminar programme is fully loaded to deliver in-depth sessions across a wide range of topics, from creative projects to technical updates. Additionally, there are plenty of opportunities to get hands-on with professional equipment, guided by official brand representatives. Elation will be showcasing the Smarty Hybrid, their new LED lighting fixture which uses their latest seven-colour multi-chip LED technology. MA Lighting are showcasing their grandMA3, the ultimate lighting control hardware. Robe are launching a top secret product as well as showing their RoboSpot Multi Device Control and Tarrantula. Robert Juliat are revealing the new additions to their Dalis range and new profile range, the Charles 960SX series. Prolight Concepts are bringing the all-weather Endura and Evora series from elumen8. And Philips Entertainment Group will be lighting up their stand with their LED VL800 Beamline. L-Acoustics will be wowing audiences with their innovative L-ISA. d&b audiotechnik will be showcasing their highly regarded Soundscape technology and the new SL-Series. Peavey Commercial Audio are bringing along the Crest Audio Versarray PRO VR112, the latest generation line array. RCF Spa will be unleashing the latest members of the TT family and the HDL28-A, a compact active touring system. And Sennheiser will be demonstrating their Speechline Wireless Digital System. Green Hippo are releasing their Hippotizer 4.4 software, demonstrating its creative potential and host of new features. Laserworld will be showcasing their revised DS-1000RGB Diode series. Epson are bringing along their powerful EB-1755U laser projector. Artistic License are launching their daliGate Quad and Rail-Split RJ45 for lighting controls. And Broadweigh are unveiling their Advanced Handheld device. Respected lighting designer Rob Halliday will present Giudizio Universale – Michelangelo and the Secrets of the Sistine Chapel, revealing this stunning €9m immersive stage. Another magical seminar comes in the form of Creating the Tempest which welcomes the Royal Shakespeare Company to discuss the highly innovative digital technologies used in their recent production. Discover one of the largest and most complicated video facades in the world, created by the team at Brilliant Stages and Production Park. The Nur Alem Pavilion was the centre piece of Expo 2017 and this seminar will reveal how the project was executed. In Drama Beyond the Stage, 59 Productions will explain how their combination of new technology and good, old fashioned storytelling techniques help to scale up highly dramatic and narrative experiences, bringing their work out of theatres and venues and out into public spaces. Back by popular demand is a panel of festival veterans. This seasoned crew of lighting designers and front of house engineers will lift the lid on the realities of an artist changeover during festival season and how unique and surprising challenges are overcome. Audio experts Britannia Row Productions are hosting a series of seminars. As well as outlining their training courses and running a demonstration of speaker system prediction software, they will discuss the future of immersive audio. Additionally, legendary sound engineer Simon Hodge will build a mix from scratch using a multitrack recording. The SoundGirls make their debut at PLASA Show with a future-focused panel looking to bring the audience closer with live mixing apps, immersive sound systems and a whole new generation of technology. Keeping an eye towards the future, sound engineer Robb Allan and Al McKinna from Avid will explore the development and future of mixing as well as next-generation technology and workflow processes.  Holoplot will explore wave field synthesis for 3D sound applications and challenging acoustic environments, going beyond theory to produce real world products and scalable solutions. In More Art, Less Noise, Oran Burns from d&b audiotechnik will look at recent advancements in sound system design which has improved off-site noise for outdoor events and festivals. Audinate return with their popular Dante training, providing a taste and answering frequently asked questions which arise when designing and deploying a Larger Dante network. More AV offerings come from Genio Kronauer of L-Acoustics, and Henning Kaltheuler of d&b audiotechnik as they present an introduction of Milan, the new application layer protocol for future-proof AV networks. PLASA continues its series of seminars on mental health issues within the industry with a panel including Dawn Collins who has offered training to the BBC. Additionally, PLASA and AV Magazine will present a seminar revealing initial insights from industry wide research. Eco Design regulation updates will be provided by Adam Bennette and Christian Allabauer who were present during the negotiations with the EU Commission this Summer. This session is specifically aimed at lighting manufacturers, distributors and venues from across Europe. The ABTT return with updates on Technical Standards for Places of Entertainment. This session will provide a guide to recent amendments and offer the opportunity to discuss your questions on safety and compliance. Brandon Eckstorm will showcase Vectorworks Spotlight, detailing how this industry leading software can make your job easier. Its functions include 3D rendering, BraceworksTM rigging analysis, Vision to pre-visualise lighting and much more. Head of Production, David Ripley, of The Royal Central School of Speech and Drama is providing a CAD Tutorial session, showing the latest AutoCAD software, and ABTT CEO Robin Townley is hosting a CAD forum for those interested in apprenticeships in theatre and live events. ChamSys are on hand with practical training sessions, suitable for both beginners and more experienced users. Attendees will learn how to patch a show and create cues and FX using QuickQ and MagicQ consoles and software. Additionally, Zero 88 will also run introductory sessions familiarising attendees with FLX consoles. Audio and AV professionals are catered for by multiple sessions on Sennheiser’s Speechline Digital Wireless System. Aspiring riggers can take advantage of the all new Rigging Area where they can get to grips with terminations, knots, assembly and lifting in a designated area equipped with professional equipment under the trained eye of experienced riggers. New for this year is a dedicated Rigging, Production and Structures Theatre which will offer free-to-attend content throughout the show. Ilan Bahar from Eilon Engineering will outline the importance of load monitoring, and Dave Weatherhead, CEO of Kinesys Projects Limited will offer solid advice regarding automation in productions. Scotty Stewart is presenting three seminars: Simple Rigging Calculations, Aerial Forces, and Improving our Approach to Mental Health: a personal view, revealing his journey with depression. The National Rigging Advisory Group will answer questions from budding riggers and offer guidance on supervision in production. Sapsis Rigging president Bill Sapsis and Chris Higgs from Total Solutions will present the International Code of Practice for Entertainment Rigging (ICOPER), from its inception to its daily applications. Ian Hall from Total Solutions Group will address design issues surrounding temporary demountable structures, and a panel of international professionals will combine their efforts to seek potential solutions to the problems of working from trusses. Throughout the entire show visitors can immerse themselves in live audio demos from renowned manufacturers. Shermann, OHM, RCF and Aura Audio will be demonstrating their latest loudspeakers, monitors, subs, line arrays and amplifiers in the Apex Room, whilst KV2 Audio are taking over the Club Room with their leading products. The Fast Track Theatre is bursting with bite sized sessions where visitors can cut their business teeth and up their marketing game: Shéa Bennett from Identity will reveal how to add magic to your next live event, Darryn de la Soul from Soulsound will show you how to set up a small business and John Schwab from Curtain Call will emphasise the importance of networking. Furthermore, Tony Lennon and Liz Hardwick from BECTU will provide website optimisation tips, time management hacks and tax advice. The jewels in PLASA Show’s crown are the internationally recognised PLASA Awards for Innovation which celebrate the most forward-thinking product designs. The awards will be presented on the Monday evening of the show with all entries available to view throughout the show at the Innovation Gallery. Managing Director Peter Heath says, “PLASA Show has come a long way, and last year’s 40th anniversary confirmed that we are on the right track, carving a path for the live entertainment technology industry. 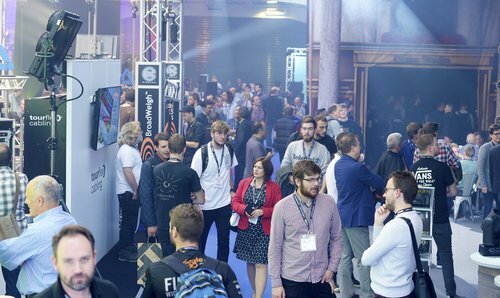 PLASA Show has its gaze firmly fixed on the future and is excited to share many innovative technologies at the show.